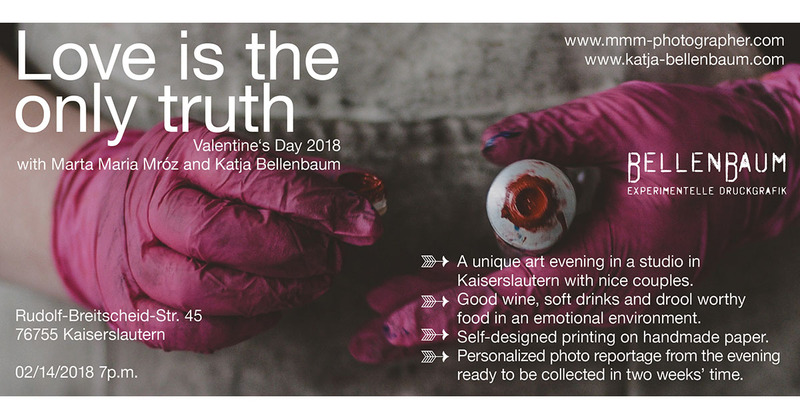 Valentine‘s Day 2018 - with Marta Maria Mróz and Katja Bellenbaum that means: A unique art evening in a studio in Kaiserslautern with nice couples. Good wine, soft drinks and drool worthy food in an emotional environment. Self-designed printing on handmade paper. Personalized photo reportage from the evening ready to be collected in two weeks’ time.